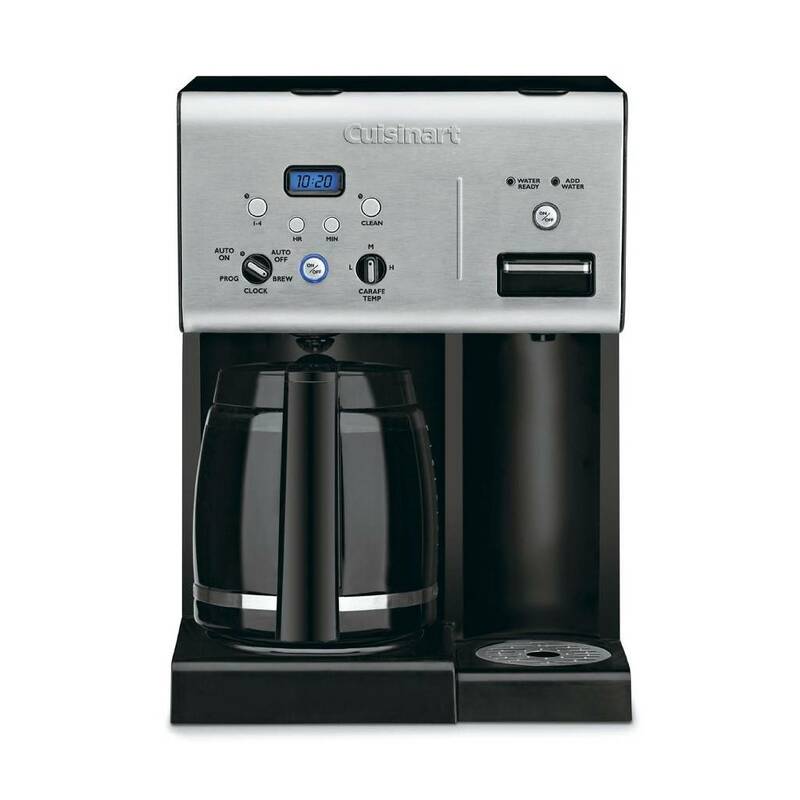 Piping hot fresh coffee is only the beginning with the Coffee Plus™ 12 Cup Programmable Coffee Maker plus Hot Water System! 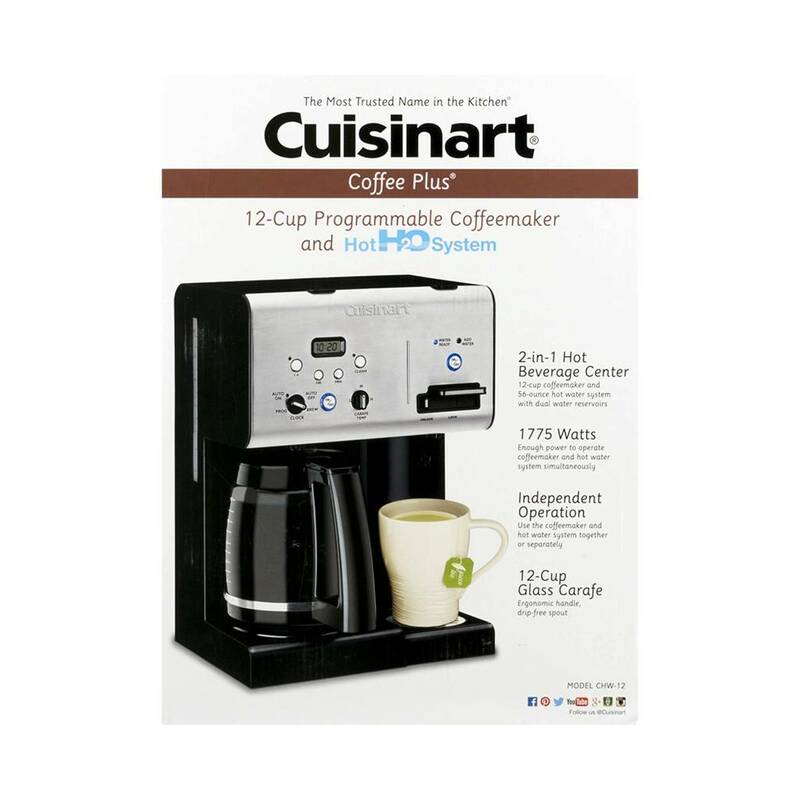 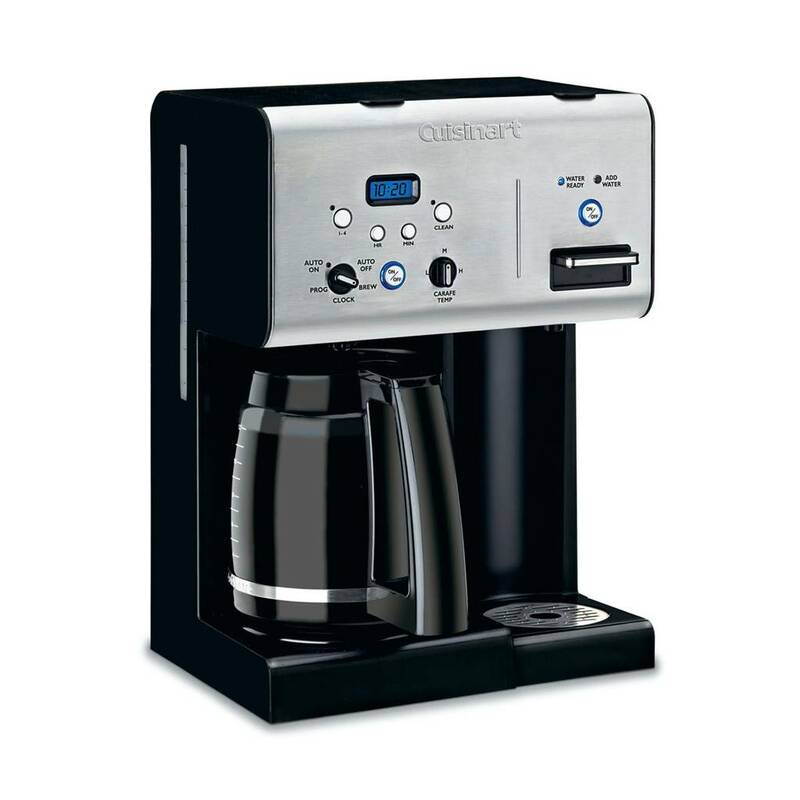 This incredible Cuisinart® hot beverage machine packs all the usual features like 24-hour programmability, Brew Pause™, and carafe temperature control but also includes our Hot Water System for ultra convenience. 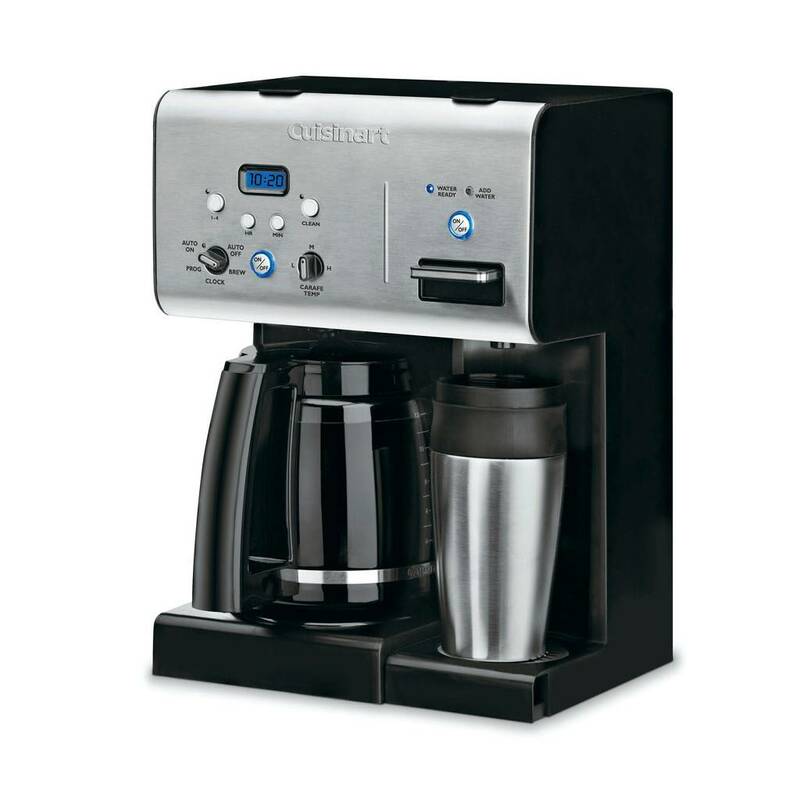 The easy to use indicator lights let you know when the hot water is ready, so you can dispense hot water with a simple press of a lever to make your favourite instant soups, hot cocoa, tea and more! 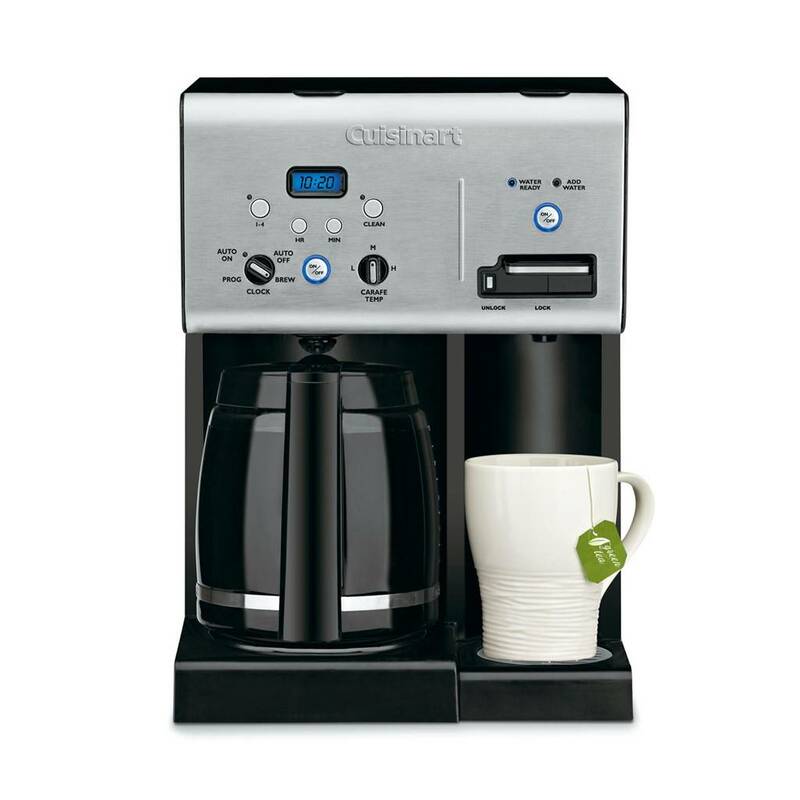 The hot water system is independent of the coffeemaker, meaning you can use them separately or at the same time for a quick oatmeal and coffee breakfast!